Visceral larvae migrans of the mouse liver. 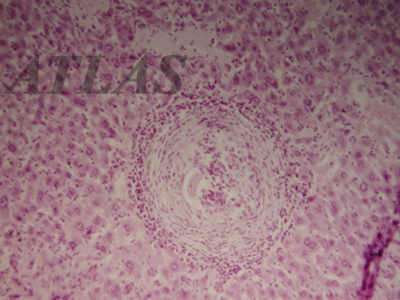 Mice were experimentallly fed with infective stage eggs of Toxocara canis. A granuloma encircled a larva in this section.